SYTA and CSTS introduce the New Student Travel Organization Certification Program. Click here to download the CSTO Executive Summary. In 2017, SYTA partnered with the Center for Student Travel Safety (CSTS) to undertake an industry changing initiative to improve overall risk management and safety practices throughout the student travel industry. The SYTA Travel Organization Certification Program is a voluntary program intended to educate tour operators, group travel planners and receptive operators in the facilitation of risk management processes that impact the health and safety of their customers while on the road. Increasingly, administrators, educators, procurement officers and parents are seeking ways to evaluate and select student travel companies that meet industry standards and engender confidence that their trips are insured, their travel providers are professional, financially stable, and trained in thorough safety protocols. As the Voice of Student Travel, it is imperative that SYTA take the lead in developing risk management and safety standards that protect the consumer and provide a framework for government and regulatory agencies to partner with industry. SYTA and CSTS worked with members, allied organizations, industry, and government to develop standards that are actionable and attainable by student travel companies and their staff. The certification program also provides a roadmap for new entries in the Student Travel Industry that raises the level of expertise and professionalism in our industry. Once adopted, the SYTA Travel Organization Certification Program will seek accreditation by ANSI, the American National Standards Institute and become a recognized industry standard for student travel companies. Accreditation also provides independent verification that certified companies and their employees are knowledgeable and practice rigorous industry standards. School boards and organizations understand the value of accreditation and seek out companies who hold this designation. SYTA has a 21 year history of promoting student and youth travel and fostering integrity and professionalism among student and youth travel service providers. Offering an accredited industry certification program establishes SYTA as the Voice of Student Travel. Doesn’t SYTA already have an accreditation program? Yes. SYTA offered a program for members who met additional financials requirements and proof of a crisis communications plan. The program was not actually accredited, as an independent accrediting body must do accreditation. SYTA cannot accredit its own certification program. How is this different from the CSTP program? The CSTP program is for individual professionals in the industry. This certification program is for tour operator, group travel planner and receptive operator companies. The CSTP program will be redesigned to reflect the standards in the organization certification program. Is the certification program only for operators, group travel planners and receptive operators? Yes. At this time, the standards are based on tour operators facilitating the risk management and safety practices with the support of their supplier partners. The goal is to offer accreditation for suppliers by industry segment once the tour operator program is launched. Is the certification program mandatory for all active and dual members? No, However 7 of the 31 standards are based on the current active member requirements and can be validated under the certification program. How does an organization achieve certification? A certified organization will complete an application and demonstrate compliance with 11 mandatory standards and achieve 75 % compliance with the remaining 20 optional standards. Are all the standards mandatory for certification? No. Organizations are encouraged to achieve compliance in all standards to achieve the highest level of performance in risk management and safety practices. Once an organization is certified, do they need to do it again? Yes. Certification is awarded once an outside auditor confirms the organization is compliant with the standards. The following year a self-audit may be completed and submitted by the organization. The third year an outside audit must be completed again. The outside audit is required every three years to maintain certification. Is there a cost to become a Certified Student Travel Organization (CSTO)? Yes. In addition to the benefits and recognition, there will be a one-time application fee and a cost associated with receiving a compliance audit by a certified auditor after three years. Members will self-audit in the years between outside audits. How does an organization receive training on certification requirements? How does a company learn and implement the standards and practices in the program? SYTA and CSTS will provide education and training on the standards and practices. Companies may also develop their own procedures or work with outside consultants to develop company specific processes and training. Company developed programs will be audited during the audit process for compliance. When can an organization apply for certification? Spring 2019 is the projected date based upon final approval of the standards and program requirements. Is there a logo or “badge” for achieving certification? Yes. 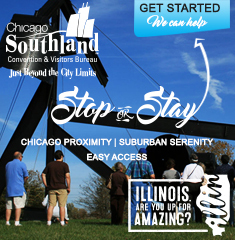 SYTA Certified Members will receive recognition as a Certified Student Travel Organization (CSTO) with a special logo, press release, and brochure they can share with their customers. If I sell my company, is the CSTO certification transferrable to the new owner? Yes. As long as the company follows the certification requirements, and completes the annual self-audit and third year outside audit within the required timeframe. How will customers learn about the new certification program? Many schools are already requesting a rating system and/or criteria for selecting a tour operator. SYTA will promote the standards and practices to customer and stakeholders as industry standards. When will the CSTO program become accredited? As soon as the program is approved and adopted by members, SYTA and CSTS will begin the process of accreditation that can take up to two years for an organization to meet accreditation requirements. Can non-members become Accredited travel organizations? Yes. 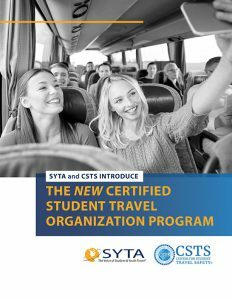 When the CSTO becomes an accredited program, SYTA will have to open it up to all organizations in the student travel industry that apply for the program, meet the standards and complete the audit. Non-members will pay non-member rates for the education, resources and training provided by SYTA to its members. Contact [email protected] for additional information on Certification. Contact [email protected] for Safety and Risk Management Consulting Services. Click here to download the CSTO Executive Summary.